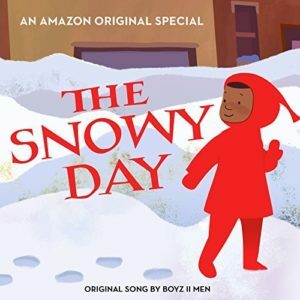 Just released: The Snowy Day on Amazon scored by Kris Bowers, score mixed by myself and starring Laurence Fishburne, Angela Bassett, Regina King and BOYZ II MEN!!! It's a super-heartwarming, kids' xmas special!! UPDATE 4-28-17: Kris won an Emmy for this score!!!!! Congrats to Kris and all the cast and crew of "Snowy Day!!!" In other news, SunKing Studios moved!! Now in a little larger space in Highland Park, Los Angeles. I have been mixing up a storm ever since my last post...New releases coming soon for DENM, Eamon and The Phantom, Elizabeth & The Catapult, Rhythm Roots Allstars, VU, Soft Faces and more.